Some of our best (and worst) teen-age memories happen not at school, not on vacation, and not even on dates with our biggest crushes. They happen at our summer jobs! The Sweethearts have held lots of different types of jobs, from babysitting, to hostessing at a dinner theater, to camp counselor, to telemarketer (see, some telemarketers ARE really sweet, so be nice out there, y’all!). For our June contest, we want to hear about your summer jobs. Tell us about your favorite ones, or your least favorite, and feel free to share your stories. 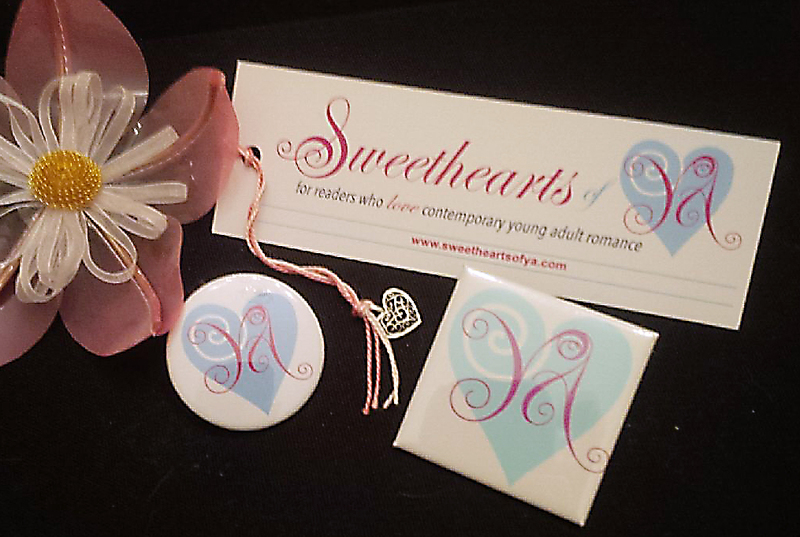 This month’s winner will be selected at random to receive some super fun Sweetheart Swag (including a bookmark, button, and magnet) as well as your choice of one e-book from the Sweetheart collection. Then (2) leave a comment below about one (or more) of your summer jobs. Be sure to include your Twitter handle in your comment so we can reach you. Contest closes June 27 at noon ET. The summer job i had this year consist mostly of working at mcdonalds near my house. It was really tough to work in a fast food chain, especially when you’re in the Philipppines. Some customers are rude and tips are kind of not allowed. It was a fun experience, sure. But i was mostly sore while i was at it. I felt tired all the time. I quit it when i started school last monday. I need to focus on my studies because i’m a senior and i have to get all my college applications ready. Next year, i’m planning to apply on a bookstore so i could be surrounded by my favorite thing while working. I’m @randomraevalyn on twitter, by the way. Thanks for reading! I grew up on a dairy farm so my summers were spent baling hay and working in the garden. My first actual paid job for one summer was babysitting 2 girls. It was ok but the youngest was quite a brat so it could have been better. I also worked at a small grocery store as a cashier the summer before my senior year in high school. It wasn’t too bad, hours were flexible so I still got to hang out with my friends a lot. The ‘interesting’ part was that because I wasn’t 18 yet, I couldn’t legally ring up anyone buying alcohol or cigarettes. The way they worked around that was as long as someone else entered the amount into the register, I could finish the sale. I’m pretty sure that technically it wasn’t quite legal but this was many years ago and it was a really small store in the country. Just one of those things I’ll always remember! Lol! After that, I was pretty much into what I’m still doing, many years later and that is baking! Thanks for this giveaway! I haven’t thought about my past jobs in quite awhile!